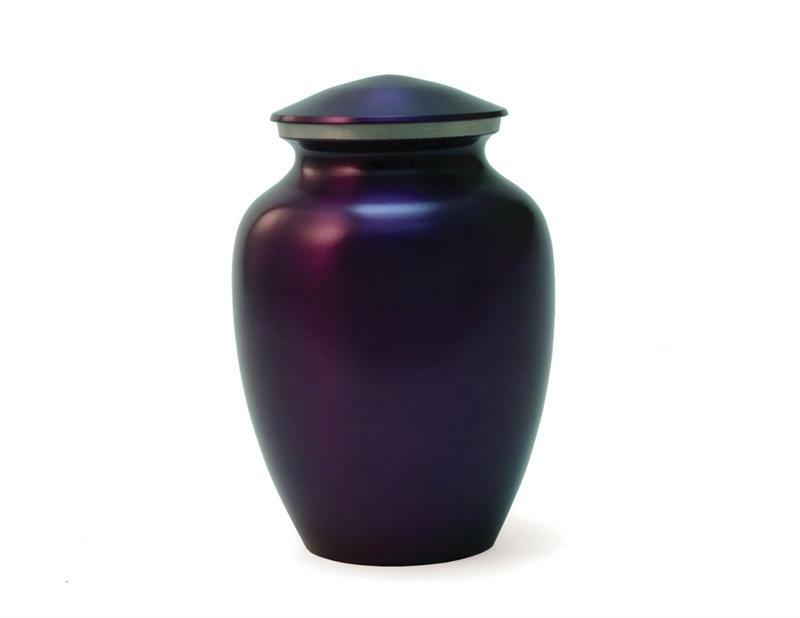 Stunning in appearance, these pet urns are handcrafted in brass, electroplated and beautifully finished in our choice of a rich violet or crimson color. 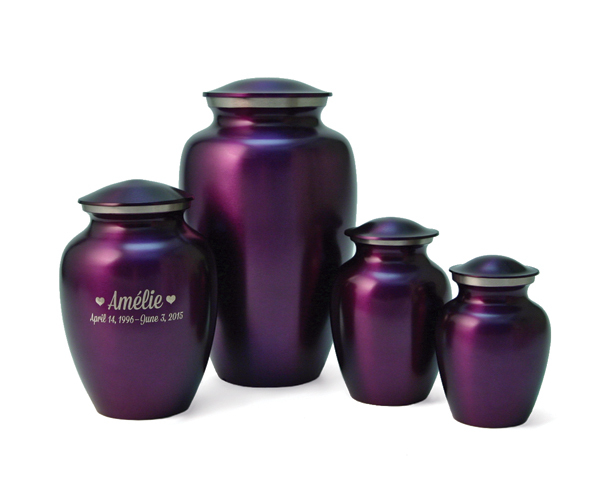 For more detail, a polished pewter band has been placed near the lid. 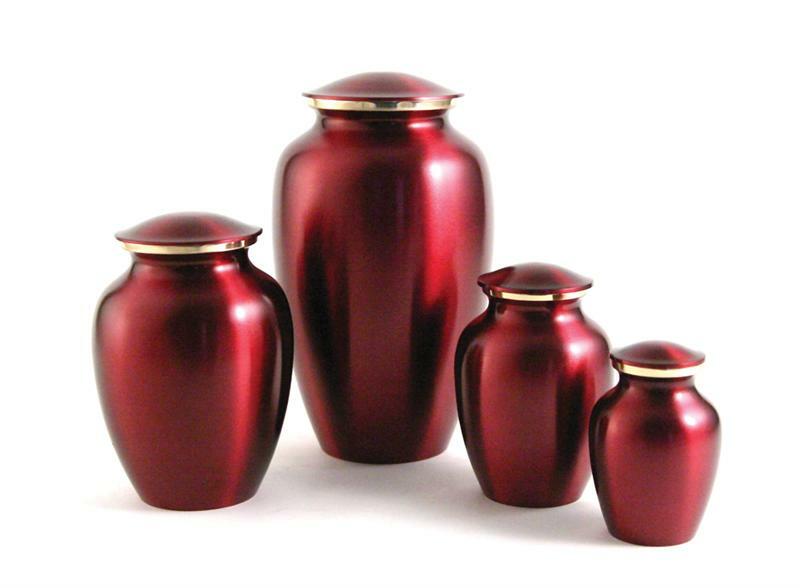 This urn is pictured at the far right of the photo. 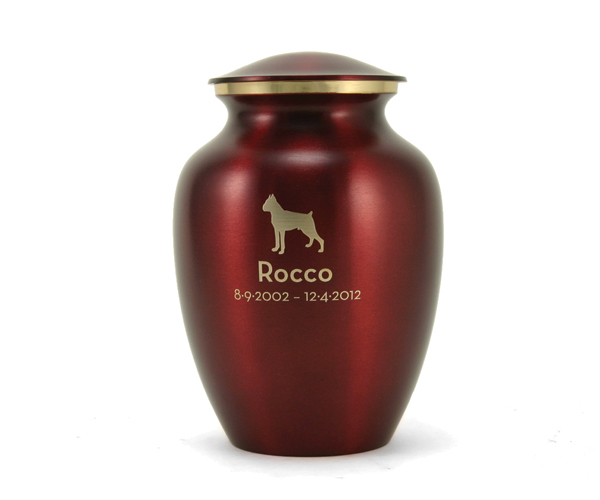 How would you like your 2nd row of engraving to read?